Jason Voss and James East dominated the Blue Water Classic, a flat-out 2 day sprint race in the desert surrounding Parker Dam on the Arizona side of the Colorado River. 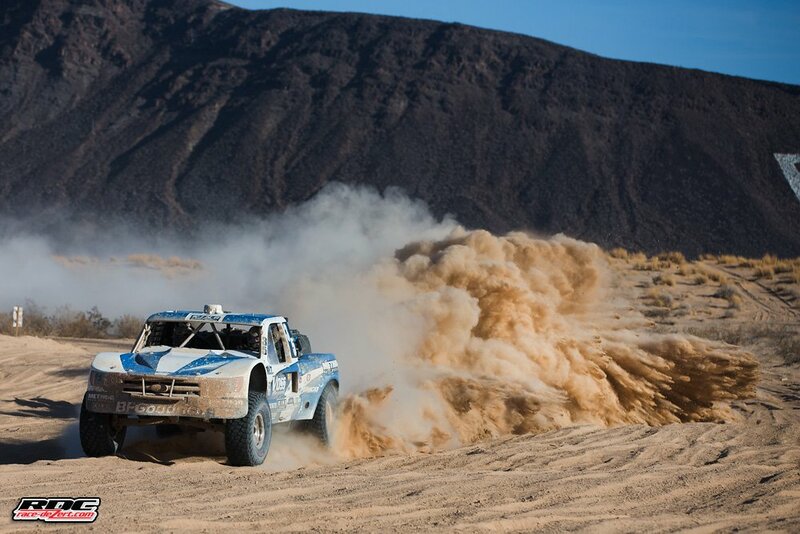 On Saturday, after qualifying in 5th place, they forged thru the dust that was kicked up front by the leading trucks and moved into first place. On Sunday, starting in 1st place, they made everyone else eat their dust. This is the first year we have been racing with the Voss Team, and they race with our B2T Underdrive. Together we are leading the "Best In The Desert" Championship. Race_Dezert.com provides great race reports among other things for the Offroad community. Click on the image below to get a full report of the race. Be sure to watch the Side to Side battle video, showing awesome racing during the first couple minutes of in-car video footage from both trucks as Voss starts from 5th place.